We continue looking for ways to facilitate transportation in Southeast Asia. Today, we take another step forward announcing online ticket booking for trains in Thailand. 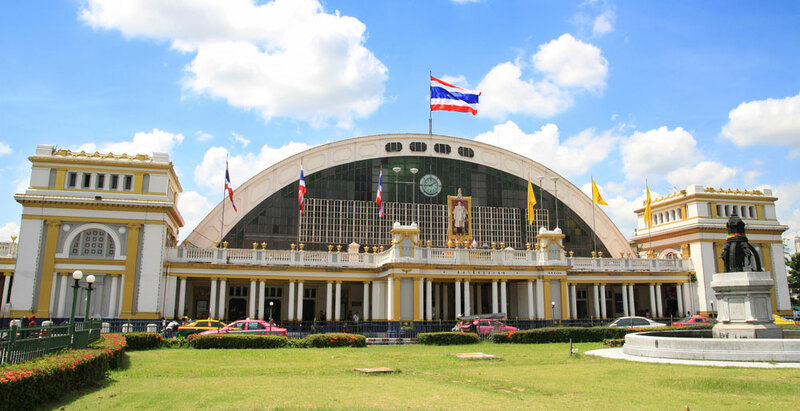 Travellers can use our website to find schedules and fares, and book tickets for the main railway lines operated by State Railway of Thailand: the Northern Line, the Northeastern Line and the Southern Line. Furthermore, we provide timetables for the Eastern Line, although online booking is not available for this line. Thanks to this integration, we interconnect over 175 cities in Thailand, including Bangkok (both Hua Lam Phong station and Don Mueang station) and the major tourist destinations, such as Chiang Mai, Phitsanulok, Nong Khai, Udon Thani, Khon Kaen, Ubon Ratchathani, Ayutthaya, Hua Hin, Chumphon, Surat Thani, Nakhon Si Thammarat, Trang, Hat Yai, Padang Besar, Sungai Kolok, as well as the main railway junctions in the railway network. The Northern Line connects the capital Bangkok with the north of Thailand. Major cities served by the line include Ayutthaya, Nakhon Sawan, Phitsanulok, Lampang and Chiang Mai, the terminus station. Ticket booking is available 60 days in advance, however, fares will open first for the long journeys of the railway line, such as Bangkok to Chiang Mai or Bangkok to Phitsanulok. 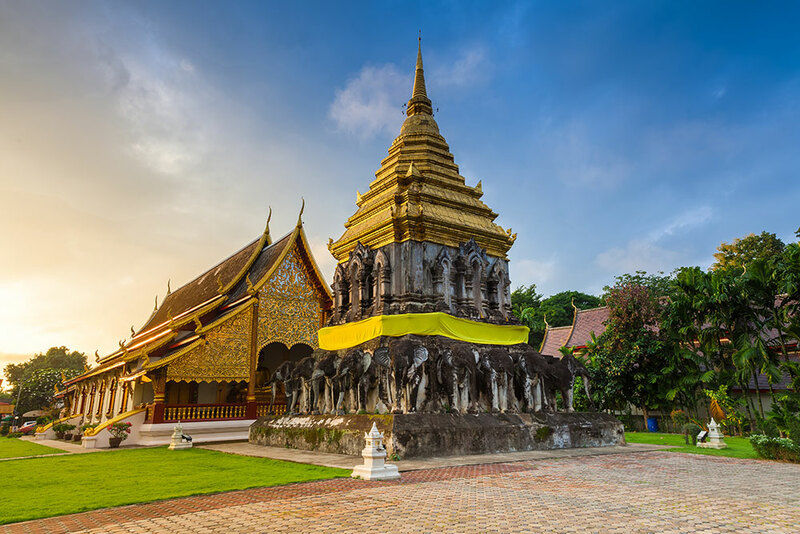 Surrounded by mountains and filled with religious monuments and temples, the city of Chiang Mai is known as the Rose in the North. 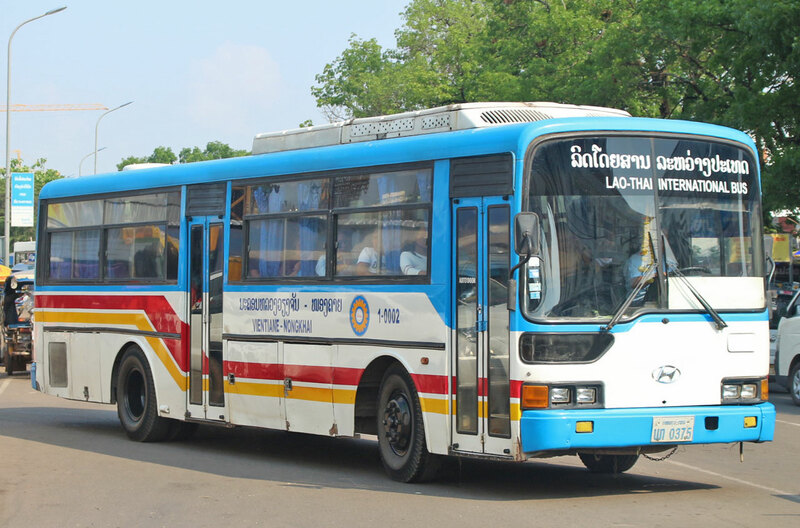 For short journeys such as Bangkok to Ayutthaya, fares begin locked and will open later, usually 1-2 days before departure. 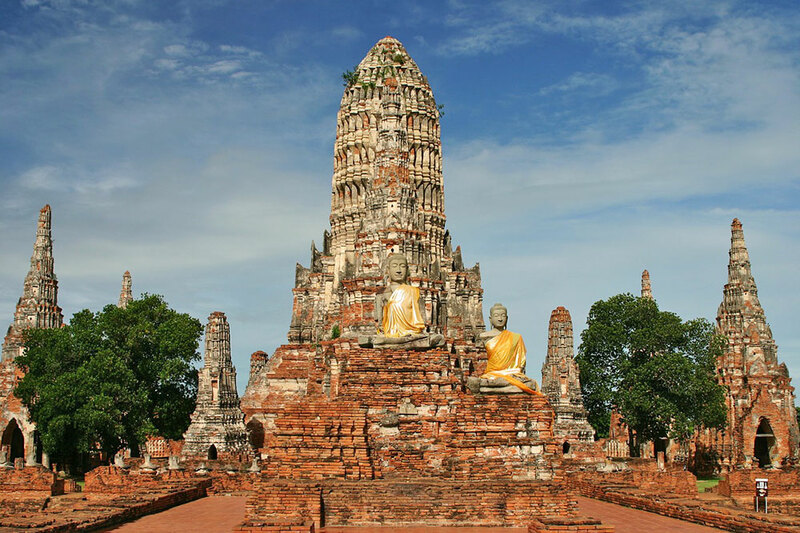 Ayutthaya was the capital of a former kingdom in Siam. The historical site boasts ruins of magnificent palaces. 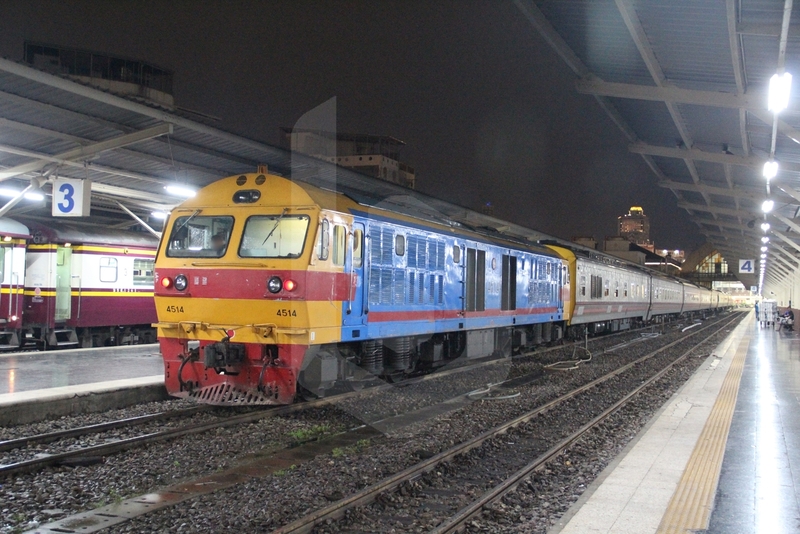 The Special Express 9 Uttravidhi is the most popular sleeper train running from Bangkok to Chiang Mai, offering Air-Conditioned First class and Second class Berth coaches. the Nong Khai Line, connecting Bangkok to the major cities of Nakhon Ratchasima, Khon Kaen, Udon Thani and Nong Khai, the terminus station near the border with Vientiane, in Laos. 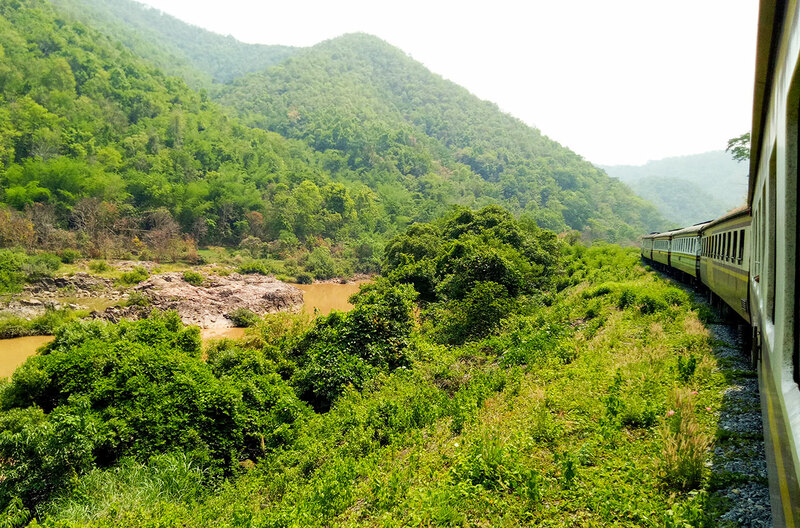 the Ubon Ratchathani Line, connecting Bangkok to the major cities of Nakhon Ratchasima, Buri Ram, Surin and Ubon Ratchathani, bordering with Champasak province of Laos. Ticket booking is available 60 days in advance, however, fares will open first for the long journeys of the railway line, such as Bangkok to Nong Khai or Bangkok to Ubon Ratchathani. Nong Khai is a frontier city lying on the banks of the Mekong River near Vientiane, the capital of Laos. For short journeys such as Bangkok to Nakhon Ratchasima, fares begin locked and will open later, usually 1-2 days before departure. 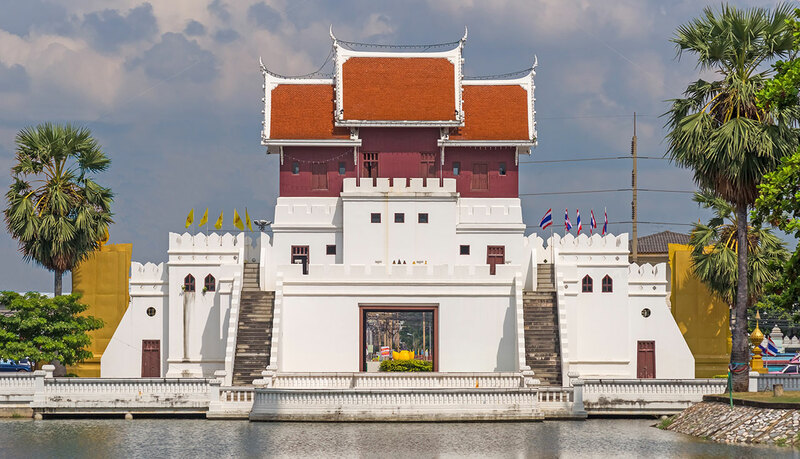 Nakhon Ratchasima, commonly known as Korat, historically marked the boundary between Siamese and Lao territories. 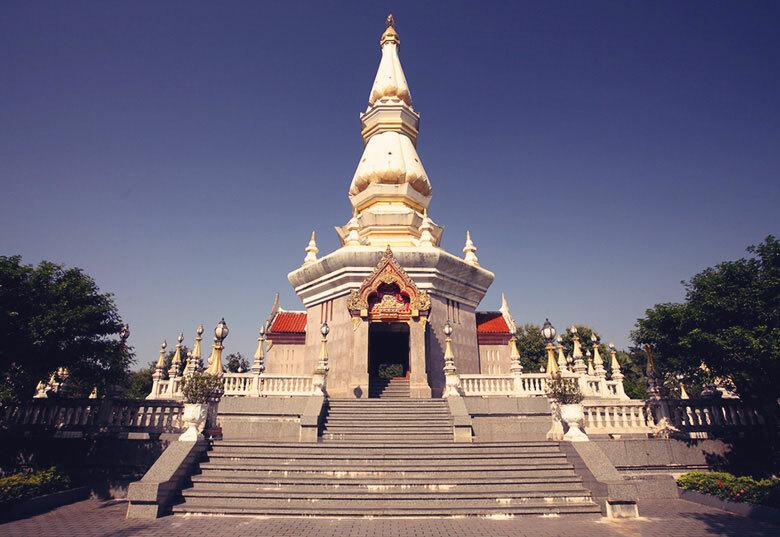 In the present, it is the gateway to Isan, the Northeastern region of Thailand. 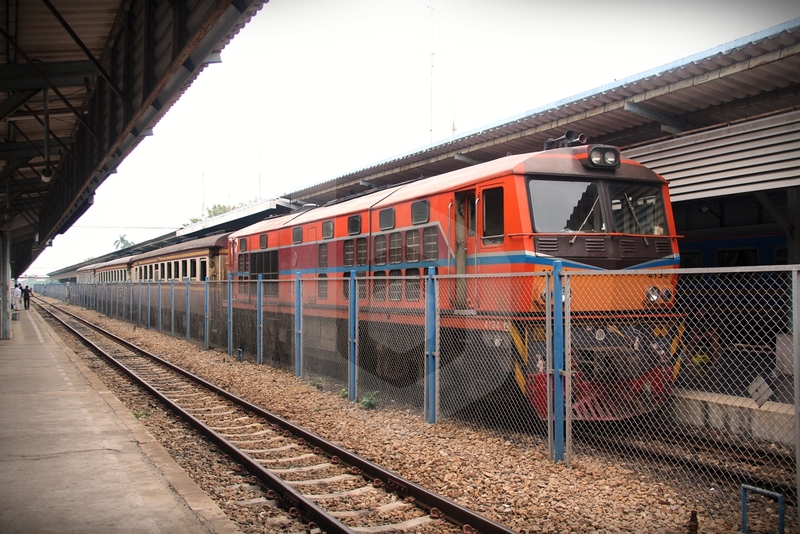 The Special Express 25 Isan Mankha is the most popular sleeper train running from Bangkok to Nong Khai, offering Air-Conditioned First class and Second class Berth coaches. The Southern Line connects the capital Bangkok with southern Thailand. 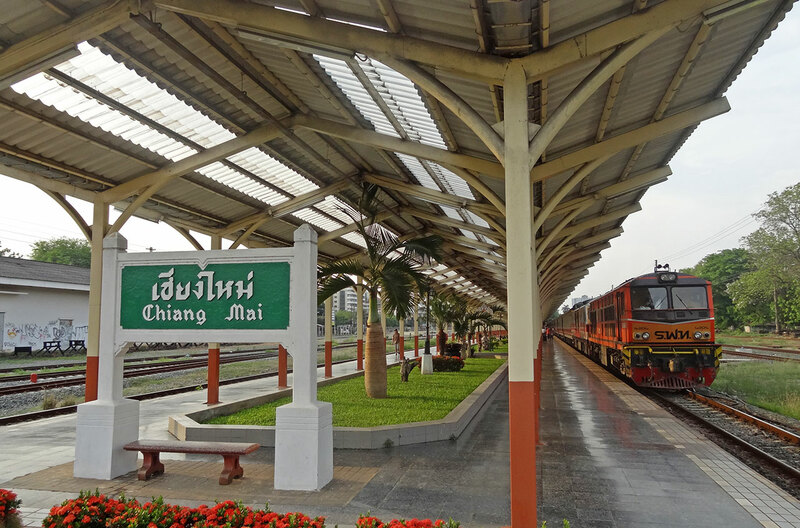 Major cities served by the line include Hua Hin, Chumphon, Surat Thani, Nakhon Si Thammarat, Trang, Hat Yai and Padang Besar. 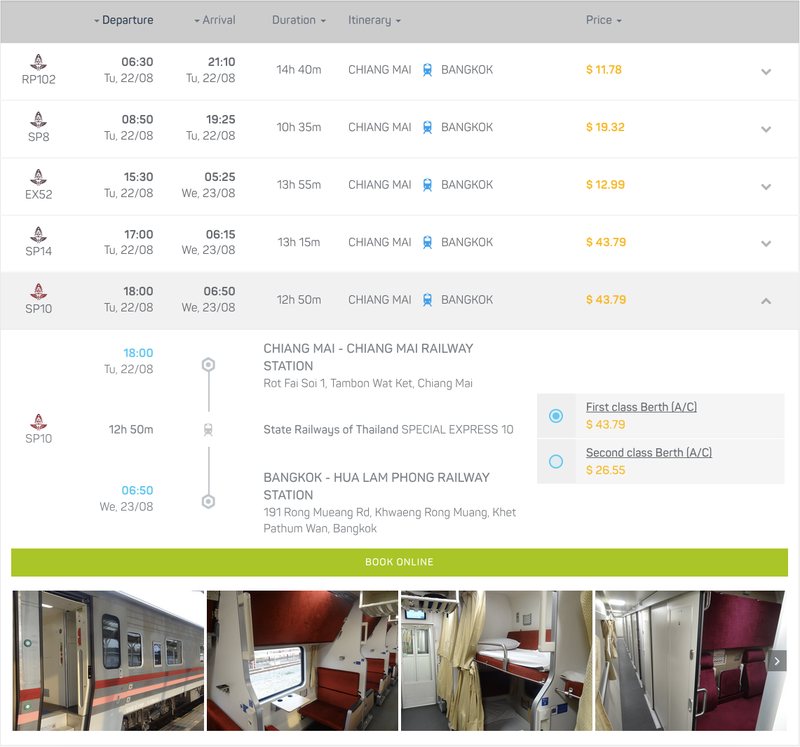 Ticket booking is available 60 days in advance, however, fares will open first for the long journeys of the railway line, such as Bangkok to Surat Thani, Bangkok to Hat Yai or Bangkok to Padang Besar. 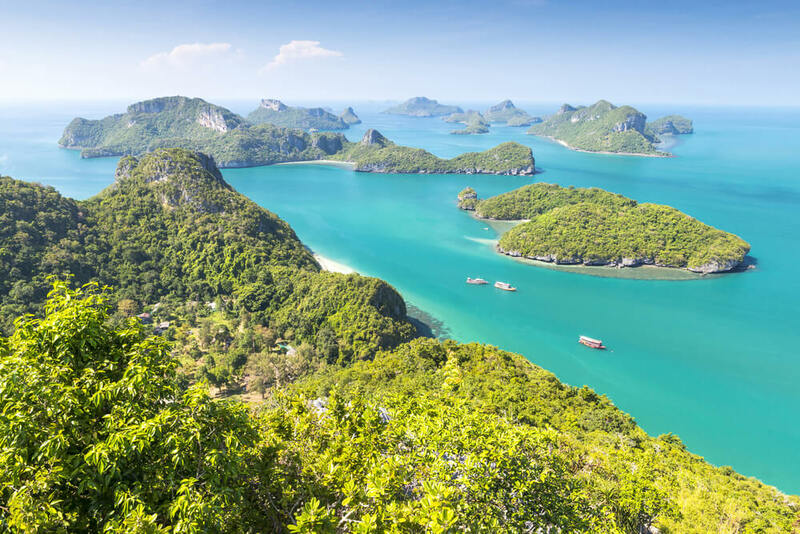 Surat Thani is the gateway to the islands in the Gulf of Thailand, Koh Tao, Koh Phangan, Koh Samui by ferry. For short journeys such as Bangkok to Hua Hin, Trang to Surat Thani or Hat Yai to Padang Besar, fares begin locked and will open later, usually 1-2 days before departure. Hua Hin is a seaside resort city popular for weekend getaways among Bangkok residents. 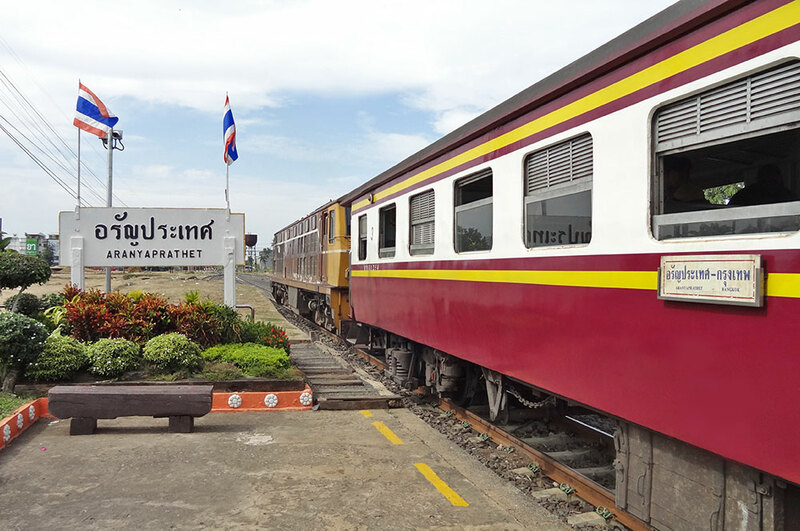 The Special Express 31 Thaksinarath is the most popular sleeper train running from Bangkok to Hat Yai, offering Air-Conditioned First class and Second class Berth coaches. 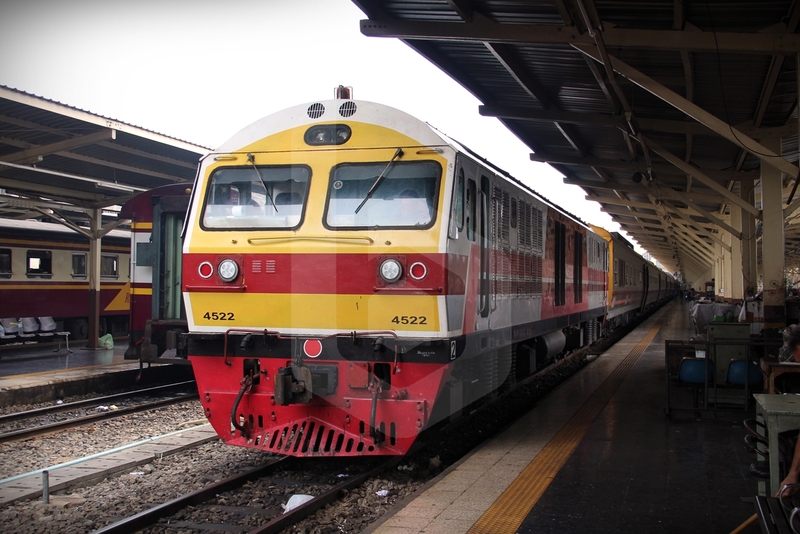 The Hat Yai – Padang Besar Shuttle Train is a short-distance international train running from Hat Yai to Padang Besar, the border town in the northern state of Perlis, in Malaysia, a practical way to travel between Thailand and Malaysia. For trains on the Eastern Line we only provide information of schedules and fares, as tickets for ORDINARY (OR) trains can only be purchased on the same day at the designated counters of the railway station. 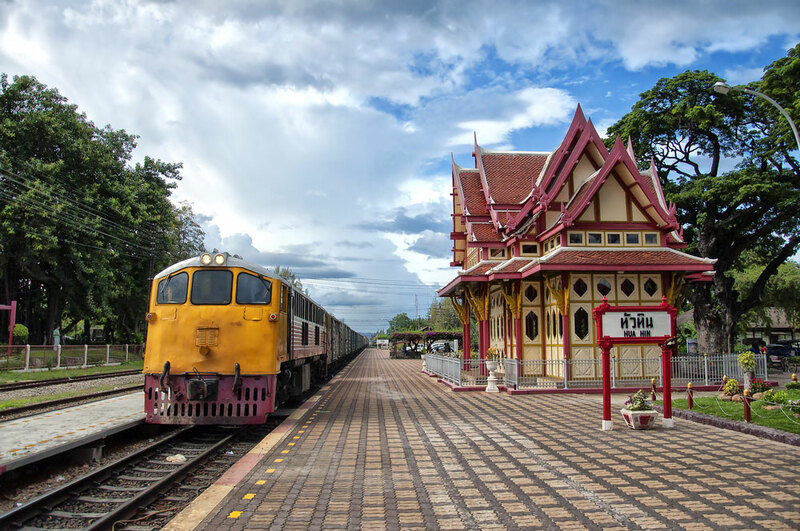 Aranyaprathet is the terminal station of the Eastern line in Sa Kaeo province, bordering Cambodia. The Eastern Line will soon be extended to connect with the Western line operated by Royal Railway in Cambodia through Poipet international border crossing. The process of online ticket booking is really simple. You can search for train routes between any two cities in Thailand for your travel dates. We will list the train services available: SPECIAL EXPRESS (SP), RAPID (RP) and EXPRESS (EX), and you can compare the fares and select the most convenient for you. Fill in the passenger form and indicate your berth preference, Lower or Upper. We will consider your request for seat or berth reservation, however, since it depends on the availability it cannot be guaranteed. Complete the payment and submit your booking request. You will receive confirmation of your booking by email with the electronic tickets issued by State Railway of Thailand. 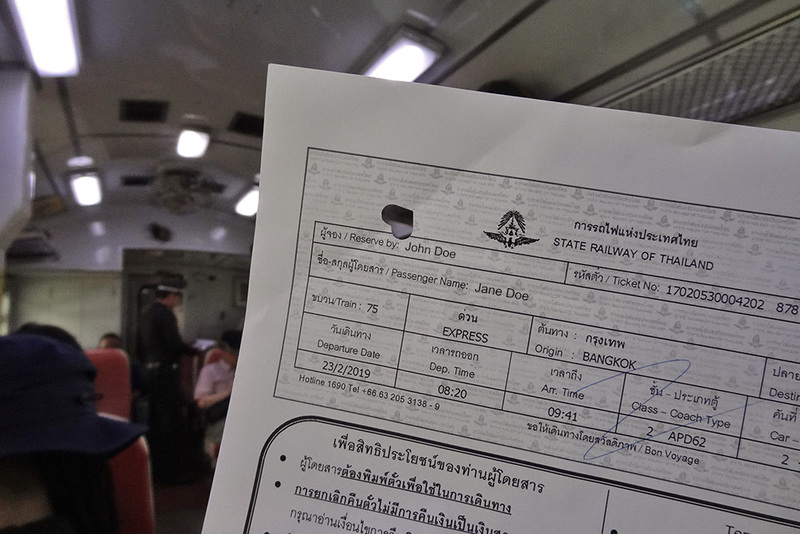 Since State Railway of Thailand introduced online ticket booking in 2017, electronic tickets are valid boarding passes and can be used to board the train at the departure station. 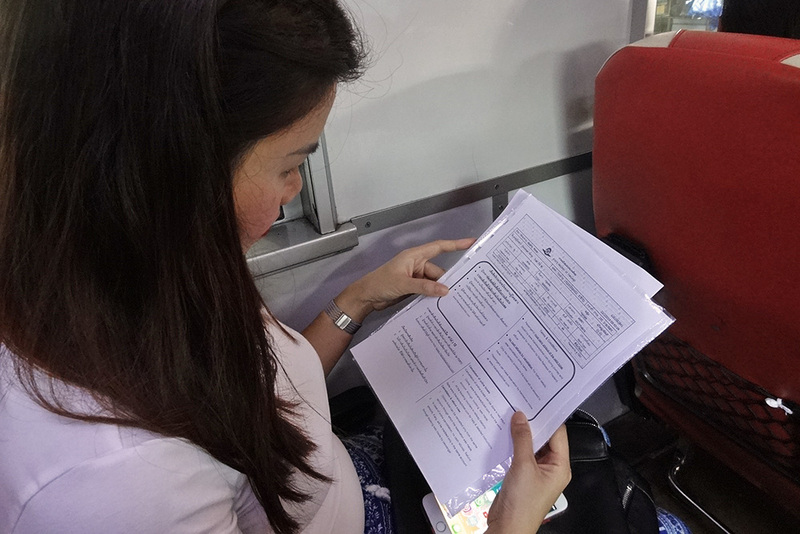 Passengers must print a copy of the e-ticket in advance and carry the printout while boarding. Please do not carry the e-ticket in your mobile phone or tablet as digital copies are not accepted. Now you can plan your trip to Thailand and book your train tickets easily with Baolau.